When orphan Seren discovers she is to be taken under the wing of her father’s oldest friend Captain Jones, she can’t wait to embark on her new life and the kind of Christmas she has always dreamed about in the orphanage. Alone in the waiting room of a train station a mysterious stranger entrusts a strange parcel to her, feeling he is being watched. Life takes an even stranger twist when she arrives at Plas-y Fran and discovers the Captain and his wife have moved to London leaving her alone with a few servants. When she tries to enquire about the whereabouts of his son Tomas, she is met by anger and secrecy at every turn. Armed only with a magical talking bird and a determination to uncover the truth about Tomas, Seren sets off to a dark and dangerous world where nothing is quite as it seems. Intriguing and enticing, ‘The Clockwork Crow’ is a truly compelling story filled with unanswered questions, impossible conundrums and sprinkled with a touch of darkness. I adored Seren, a bold and brave heroine who stubbornly refuses to accept any constraints or rules that the world around her wants to hold her in. Catherine’s storytelling is wonderfully atmospheric, you can almost feel the chill of this cold, dark house devoid of love and hope with secrets hiding amongst the shadows. The relationship between the impossibly strong-willed Seren and the equally feisty crow is one of distrust and begrudging respect which transforms as they both become to rely on each other. Catherine has created a spellbinding tale, glistening with magic and mystery that completely enchanted me. So wrap up warm, make yourself a warming drink of hot chocolate and allow yourself to be swept away by this irresistible story. A perfect treat for lovers of magical wintry stories. 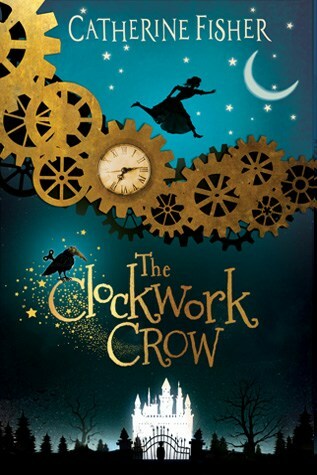 Thank you to Penny and Firefly for sending me a copy of this marvellous book, ‘The Clockwork Crow,’ is released on October 4th and is available to pre-order online or from any good bookshop. This entry was posted in Uncategorized on September 27, 2018 by bookloverjo. Roll up, roll up! 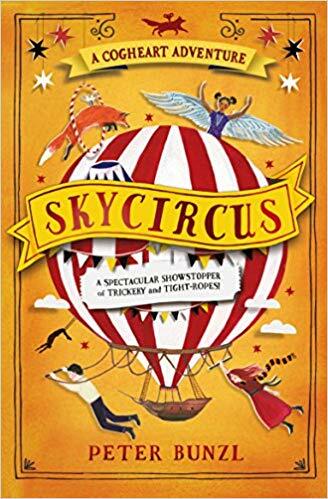 Come and enjoy the incredible, fantastical ‘Sky Circus’ a new Cogheart adventure from Peter Bunzl. Prepare to be dazzled! Amazed! And totally enthralled by this break-taking and thrilling extravaganza of a read. When Lily receives a mysterious invitation on her birthday to Slimwood’s Stupendous Travelling Sky Circus, alongside a notebook belonging to her mother she is inevitably intrigued. Despite the cryptic message hinting that it knows the key to a secret that Lily has preciously guarded, the allure of seeing Angelique a hybrid flying girl proves too much of a temptation and Lily convinces her close friends Robert and Malkin to come along for a ride. Little does Lily know that she’s about to lead her friends into a sinister trap where they will find themselves caught up in the most perilous adventure of their lives. Peter has the most incredible ability to create stories that are so compelling that they hold you tightly in their grasp from the first to the very last page. I raced through ‘Sky Circus,’ unable to put it down as I needed to find out how this remarkable adventure ended. Whilst I completely adored ‘Cogheart,’ and ‘Moonlocket,’ this book has totally surpassed my expectations, the pace and energy just crackles through the pages making this an unmissable read. He manages to seamlessly weave a more thought-provoking element through this story, which in no way slows down the action. Lily for the first time in her life gets an insight into the life of hybrids whose uniqueness is more obvious to the outside world than hers and witnesses the harshness of society’s treatment of them. The fractured relationship between the circus performers and the hybrids has been caused by Slimwood and Madame carefully using the fear of the unknown to stir up hatred and division. It cleverly demonstrates how easy it is to create distrust amongst different groups of people thus allowing them to have the power to control them all. 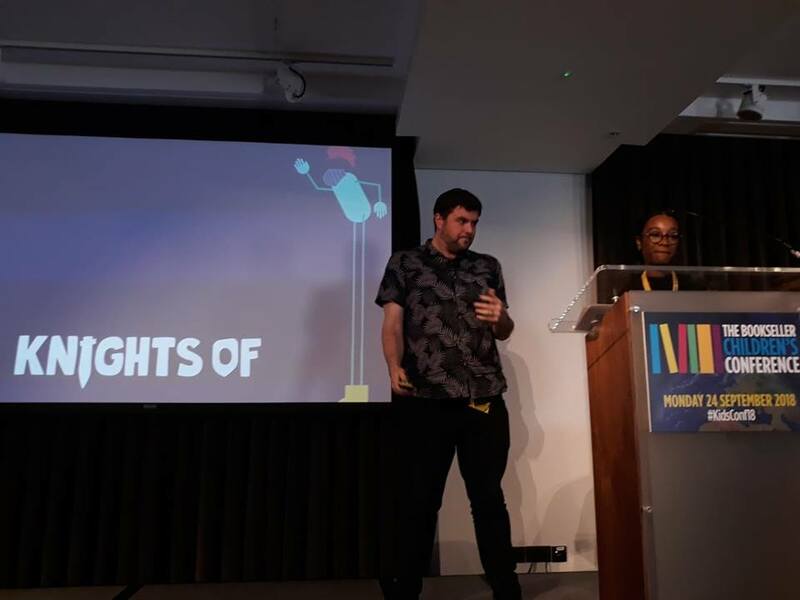 There is also a nod to the struggles faced by women in Victorian times, which despite being a time of embracing invention and discovery didn’t extend this courtesy of openness even to the most brilliant of female minds. As well as allowing the reader to discover more about Lily and Robert, Peter introduces a new cast of characters who wonderfully enhance the story adding a richness and flavour to this adventure. You can’t help but be horrified by the way Angelique, Luca and Deedee have been ruthlessly exploited by those who they thought were their saviours but instead had the most dastardly plans in mind. Despite having their dignity taken away and living in constant fear of punishment, their humanity and bravery in the face of evil is just astounding. Peter’s storytelling is vibrant and glorious, the beautifully lyrical language conjures up this fantastical world which you can see appearing right before your eyes as you get lost in this amazing adventure. An exceptional adventure, wonderfully told, this book is a complete joy from start to finish and I just can’t recommend it enough. Bravo Peter! Thanks for another incredible performance, please take a bow and enjoy the applause. Thank you to Usborne for sending me an early copy of this magnificent book. ‘Sky Circus,’ is released on the 4th October and is available to pre-order online or from any good bookshop. 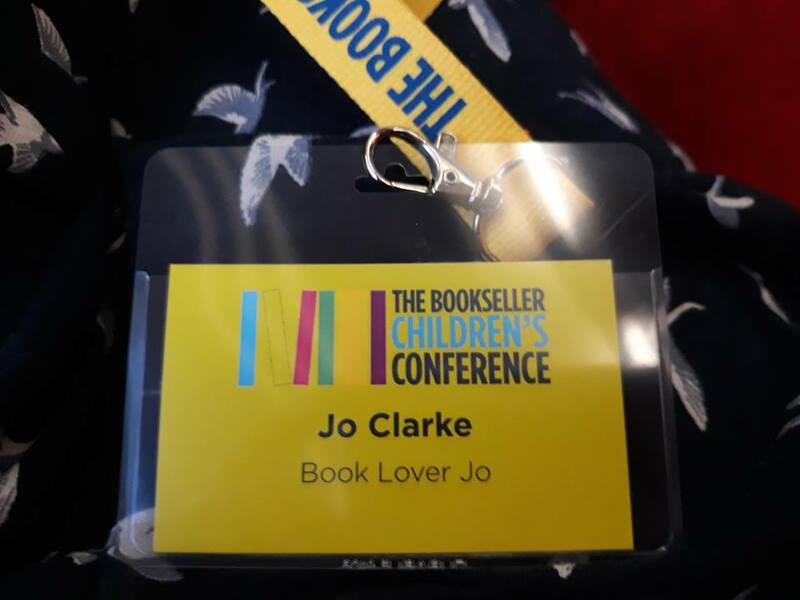 This entry was posted in Uncategorized on September 23, 2018 by bookloverjo. ‘Pages and Co,’ has to be one of my most anticipated debuts of the year, it seems an age since I first heard a whisper about this book on Twitter and I felt instantly that it would be a book that I would absolutely adore and I was absolutely right. This is the book my 9 year old self would have slept with under my pillow and hugged to myself tightly because it is a booklover’s dream. 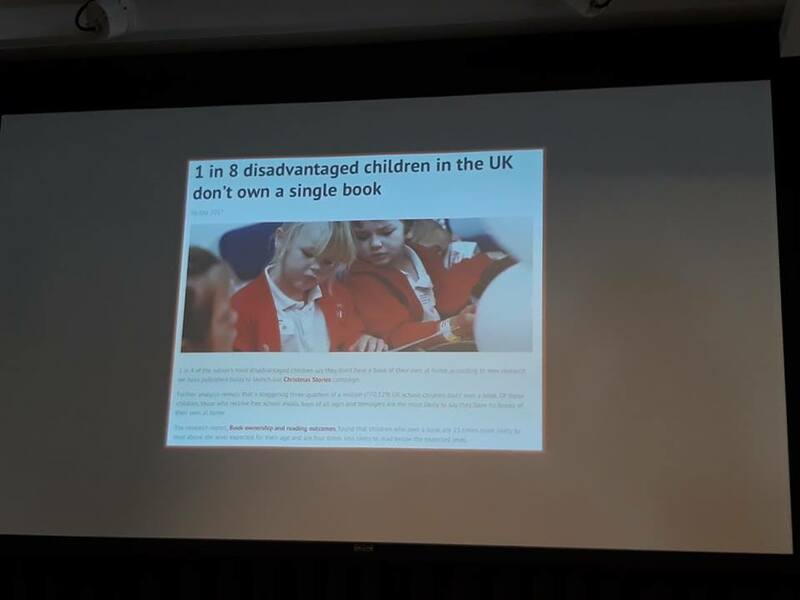 Like Tilly in the story I was a child that would literally lock myself away and lose myself in the story, except sadly I didn’t have the magical gift that she has, the ability to be a book wanderer. For Tilly books have taken her on the most amazing adventures that she couldn’t possibly dream of in real life. She has raced across rooftops in Paris, seen the Northern Lights and learned to fly a broomstick, all through the wonder of the pages she’s read. Anna’s glorious writing conjures up the most magnificent bookshop in the form of ‘Pages and Co,’ a virtual rabbit warren filled with hidden corners, mounds of books and hidden secrets lurking behind every corner. 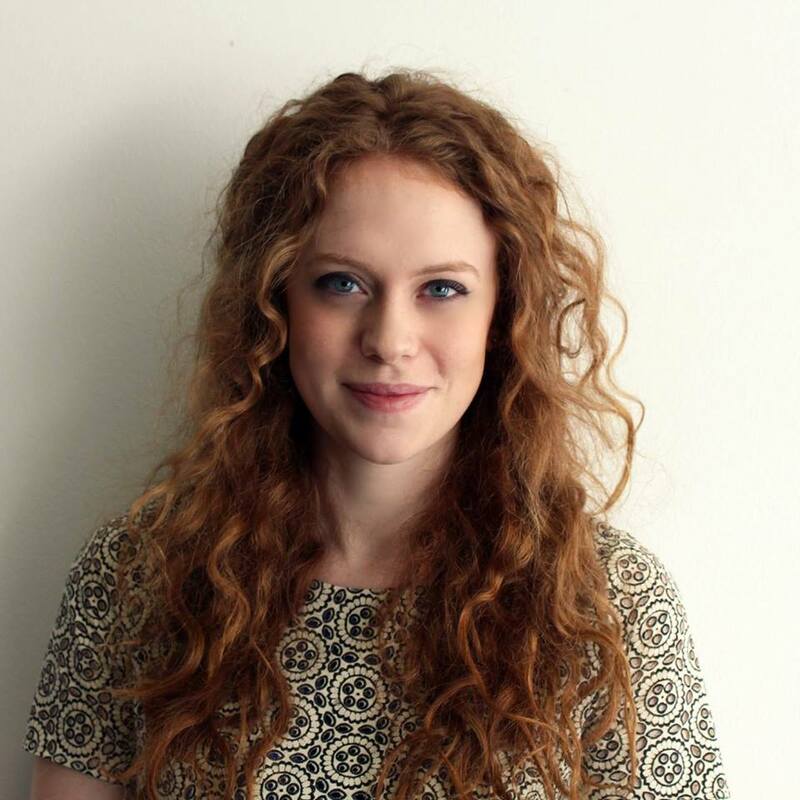 Since the disappearance of her mother, Tilly has lived in the bookshop with her grandparents, where she has found comfort amongst the pages of her favourite books. She is only mildly intrigued by the strange people she sees her grandparents talking to about matters such as being snubbed at a ball and complex cases, never realising that she’s not meant to see them. But she is however unnerved by the mysterious Enoch Chalk who appears to turn up in the most unexpected of places taking an unusual interest in her and watching very closely. When she discovers her special ability it changes her life forever and she soon realises this could hold the key to finding out what really happened to her mother. Spellbinding and truly magical, I was totally enchanted by the world that Anna has created and can’t wait to go wandering with Tilly again. 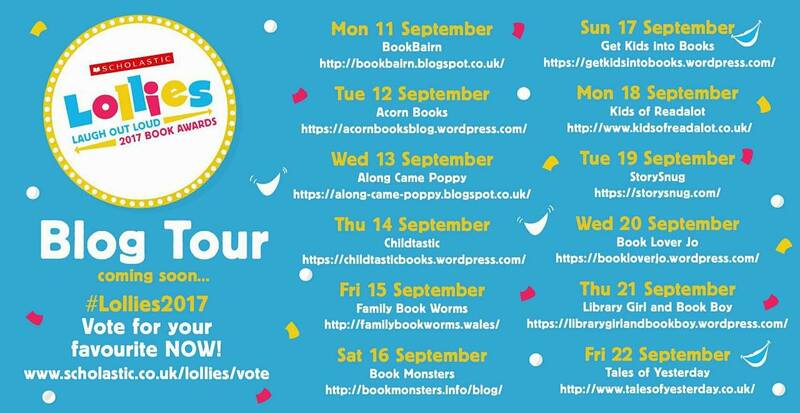 I am delighted to welcome Anna to the blog today as part of the blog tour with a special guest post on her favourite grandparents in books. My heroine Tilly lives with her grandparents; her father died before she was born and her mother went missing shortly afterwards. She has an incredibly close relationship with Archie and Elsie, and the bookshop they live in and own, and that forms the heart of the book. Growing up I was incredibly lucky to be close to both of my sets of grandparents and we alternated Christmasses with them for many years. My grandparents (Trevor and Jo, and Patrick and Audrey) were the most fun, supportive and wonderful grandparents, and I used a little bit of all of them to create Tilly’s. Here are some of my other favourite fictional grandparents. 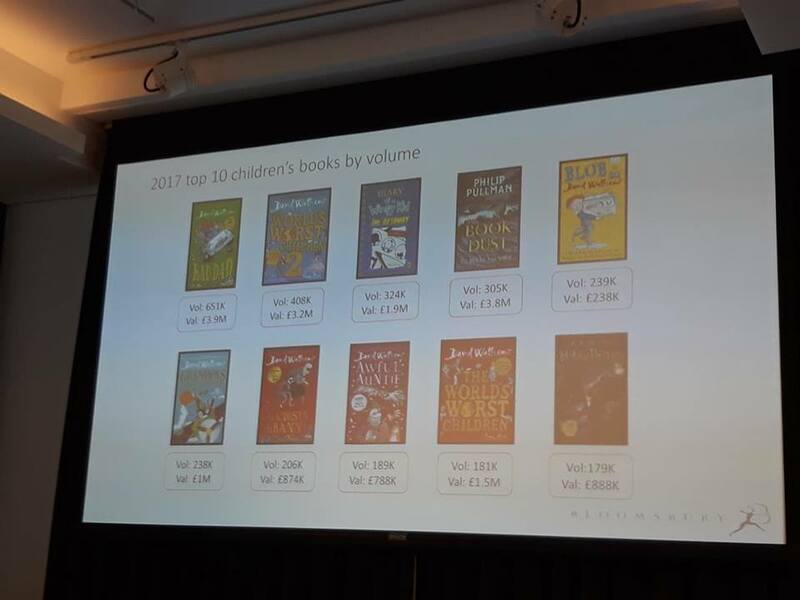 Roald Dahl creates brilliant grandparents whether they are awful like in George’s Marvellous Medicine or wonderful like those that feature on this list. At the top has to be the unnamed Norwegian grandmother of the also unnamed hero of The Witches. She’s a retired witch hunter (who lost one of her thumbs to a witch), who tells her grandson how to recognise and protect himself, she always believes him, she looks after him when he is turned into a mouse (spoilers, sorry) and they end up as a witch hunting team set to track down and rid the world of witches. Every so slightly more traditional grandparents feature in Charlie and the Chocolate Factory; the four of them live in one bed in the family’s tiny home but when Charlie finds a golden ticket for the chocolate factory, Grandpa Joe is determined to go with him. While Grandpa Joe certainly has his flaws (few Dahl characters don’t), his determination to help Charlie find a better life for himself, and his constant loyalty, not to mention his sweet tooth, make him a pretty great grandad. In this classic children’s book, orphan Heidi is set to live with her grandfather in the Swiss mountains when her aunt can no longer take care of her. He is a lonely, angry man who initially hates that Heidi has come to live with him, but her warmth and kindness towards him and their neighbours gradually wins him over. It’s a book full of grandparents, as Heidi also learns to read so she can help her friend Peter’s blind grandmother. While the book tends towards the religious, and the moralising for a modern appetites, the central story of Heidi and her grandfather is an incredibly touching one. This is a little bit of a cheat as the grandfather character is only in the film version of this, not William Golding’s original book, but it is a riff on Golding’s framing to make it work for screen. In the book supposedly Golding is narrating to us, the readers, a story he heard from someone else, and in the film the grandfather takes on this narrator role. I love stories within stories, books about books, narrators who speak directly to the reader, and narrators who seem to be omniscient but end up being a character, and anything along those lines, and Grandpa/the narrator in The Princess Bride is one of my favourites. Thank you Anna for this really interesting guest post, all brilliant choices. Thank you to Sam at Harper Collins for sending me a copy of this stunning book and for inviting me to part of the blog tour. 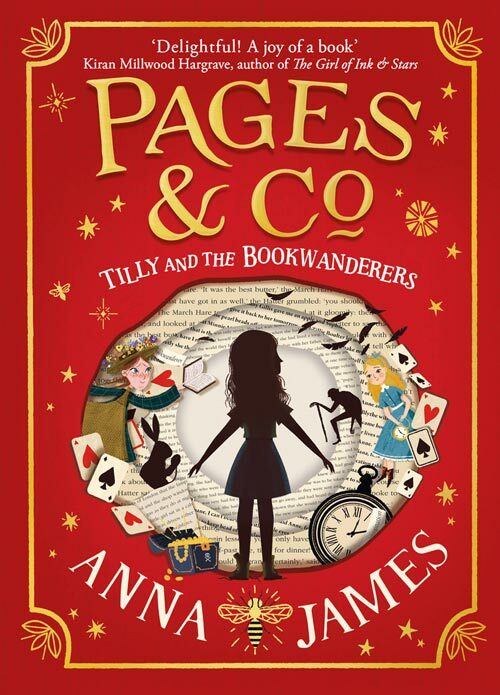 ‘Pages and Co: Tilly and the Book Wanderers,’ is available to buy now online or from any good bookshop. 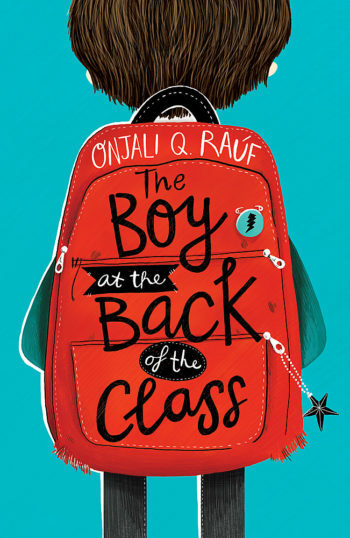 Sometimes a book strikes a chord in your heart and leaves a lasting impression on your thoughts, its a rare thing but Onjali’s beautiful debut, ‘The Boy at the Back of the Class’ has done just that. There used to be an empty chair at the back of the class but one day it’s filled by a new boy called Ahmet who seems very strange. He doesn’t want to talk to the rest of the children, he spends his breaks in seclusion with the adults and he seems lost and all alone. But they soon discover that Ahmet isn’t strange, he’s a refugee who has fled to London from a terrible war where bullies have dropped bombs on his friends and families. The more they discover about Ahmet the more they want to help him and together they come up with a grand plan to beat all other plans to try and restore happiness in Ahmet’s life. For me the thing that stands out most about this book is that it is told purely through the eyes of young children, it brings a simpler perspective to the complexities of the Refugee crisis. If people are in trouble we hold open our hands and hearts and welcome them to our country, we do whatever we can to stop them hurting. They hold none of the prejudices of grown ups and don’t see the supposed barriers that stand in the way of us helping those in need. Interestingly the narrator is anonymous we don’t know their name and gender while we find out all about Ahmet’s life throughout the story. I thought this provided a thoughtful contrast to the images that we are bombarded with by the media of refugees trying to escape from war and persecution. We’re never told their names, they’re just a mass of people not individuals. It took an incredibly heart-breaking image of a young boy Alan Kurdi washed up on beach to make people realise that refugees are individuals who are innocent and terrified and will go to extreme lengths to escape their plight. 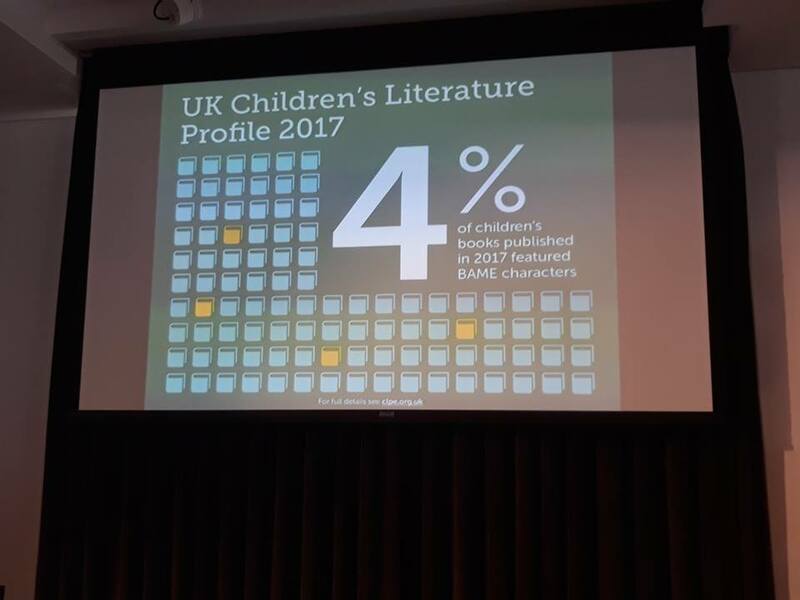 Unlike many stories featuring refugees I felt that this story was definitely suitable for younger readers from 8 years old. Although it contains some devastating revelations they are presented in such a way that younger children can understand and process this information. Pippa captures these terrible experiences thoughtfully and sensitively, clearly showing these through Ahmet’s eyes. The narrator is grieving after the death of their father, they know what it is to feel incredible pain and loss and they recognise something in Ahmet which makes them want to be friends. There are so many poignant moments in this story that really resonated with me, my favourite is when despite having very little money of their own the narrator sets out with his Mum on an adventure to find an exotic fruit to remind Ahmet of his own. Cleverly it has a parallel thread running through where the school bully is making Ahmet a target because he is different, this illustrates to children that war on so many levels is a battle between the powerful and the weak. Friendship, loyalty and empathy are at the heart of this story and I defy you to read it without weeping. Thought-provoking and powerful this has to be one of my stand out reads of the year, I can’t recommend it enough. Thank you to Hachette for sending me a copy of this brilliant book. ‘The Boy at the Back of the Class,’ is available to buy now online and from any good bookshop. 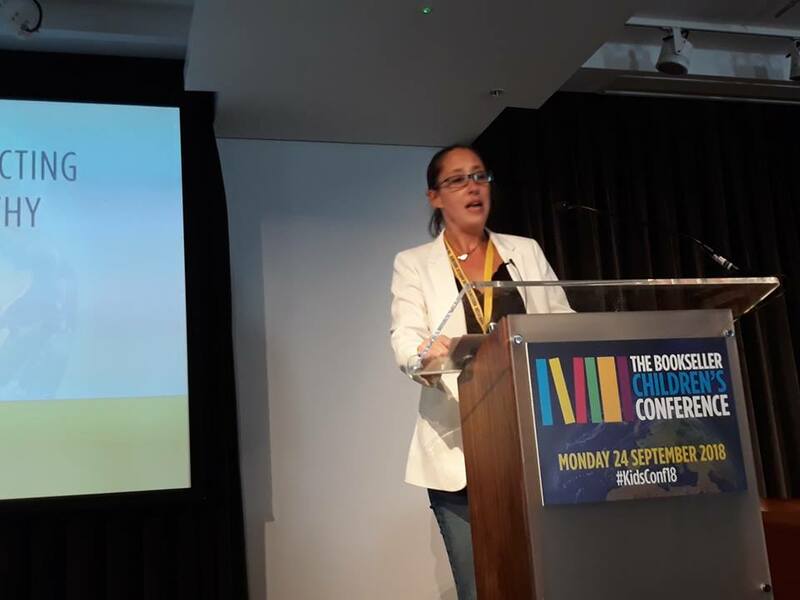 This entry was posted in Uncategorized on September 19, 2018 by bookloverjo. 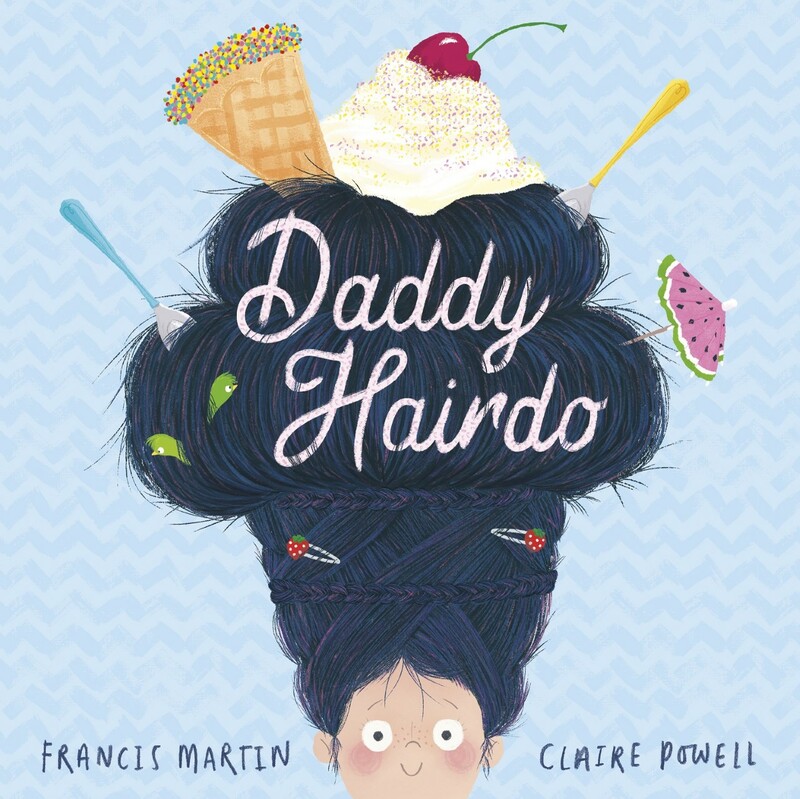 Today it’s my stop on the ‘Daddy Hairdo’ blog tour to celebrate the release of this charming and humorous picture book from Francis Martin and Claire Powell. When Amy is born she has hardly any hair, in fact her Dad has much more than her. 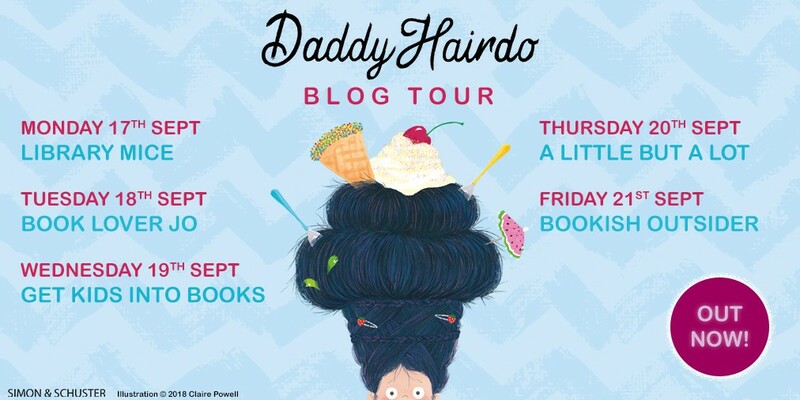 But as Dad’s hair slowly disappears – to who knows where – Amy’s takes on a life of it’s own and she begins to give Rapunzel a run for her money. The problem is life is quite difficult with extraordinary long hair, you can’t play trick or treat, it gets all sorts tangled up inside it and the only way to dry your hair is on the washing line. Amy is totally fed up until her Dad steps in with the most ingenious hairstyles, which turn them both into an overnight sensation. Francis’s writing is bursting with hairlarious and curltastic details, this story is bound to entertain and engage younger readers. Claire’s glorious illustrations make this book a total joy to read and is guaranteed to leave a smile on your face. I am delighted to welcome Francis to the blog with a special guest post on his favourite Dads in picture books. I don’t know if it’s just my collection of children’s books or if this is a general thing but dads seem to be absent. I suppose the premise of a lot of the stories is freedom from authority. The author creates a space where children are free to play, explore and take risks. A world without Dad. 1. The daddy in The Tiger Who Came To Tea: Mr cool and collected isn’t fazed at all by the tiger’s visit, the lack of water or food in the house. He just pops on his hat and they head out into the night. This is my favourite part of the story, he takes Mum and Sophie into a really fantastical world. Suburban London streets on a moon lit night and into a café. This was my childhood idea of a treat. They even have sausages and it always makes me giggle when I see Daddy nestling a crafty pint of beer. What a brilliant Dad he was with that wise serene smile. He turned what was already a pretty extraordinary day into a perfect one. 2. All hail John Burningham’s Dad in Would You Rather. The ultimate embarrassing dad. He only appears for one page waving his hat and dancing in your classroom as all your mates look on. He’s lost in his own world as your world disintegrates. John Burningham’s pictures are the best, wild fluid warm and funny I want to live in his pictures as long as it isn’t my dad dancing. 3. Not strictly a picture book Dad but as I was an expert at pretending to read books whilst I was really reading comics I will include Leo Baxendale’s homage to frustrated authority Minnie the Minx’s poor set upon dad. Context is everything and if this character were around now he would quite rightly be an object of interest to social services. Minnie was a brilliant anarchic role model for girls who were fed up of being compliant goody two shoes. Her dad was her nemesis her foil. If Dad wasn’t there trying to put a stop to her hijinks, Minnie wouldn’t have been the inspirational character that we love. 4. The dad in Michael Rosen’s and Helen Oxenbury’s We’re Going on a Bear Hunt: Dad here is part of the gang. He’s immersed in the children’s imaginary world. The text tells us nothing about him. It’s only Helen Oxenbury’s pictures that reveal something about him. He carries the smallest child and at one point carries the children’s shoes this gives us the most subtle indication that he has a parental role. The nameless Dad does everything thing the children do. He shows me that being a Dad doesn’t preclude you from spending some time in the child’s world of imagination, even if you do have to carry the shoes. 5. The last choice is a picture book about sharing an experience with your Dad. A whole day exploring a city. A Walk in New York by Salvatore Rubbino. Your Dad is your teacher and your guide. He knows everything. The artist paints beautiful dramatic panoramas of New York and New York life but the readers gaze is drawn to the beautifully observed interactions between a father and son. I can identify with the father in this book but my overwhelming feeling is that of being the child. 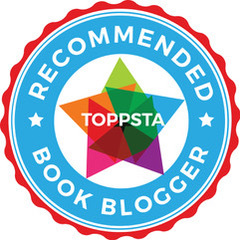 Thank you to Francis for a lovely guest post, there are some wonderful picture books mentioned. 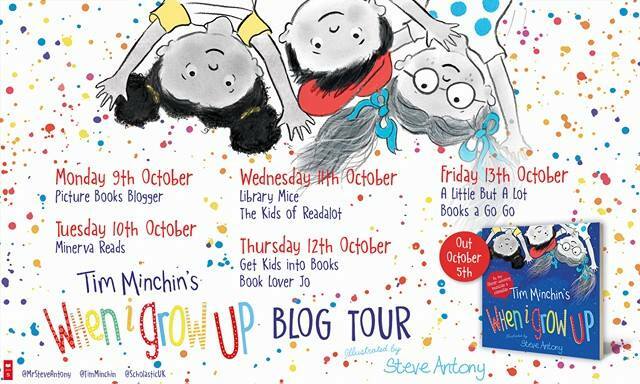 Thank you to Olivia and Simon and Schuster for inviting me to take part in this blog tour and for sending me a copy of this lovely book. ‘Daddy Hairdo,’ is available to buy now online and from any good bookshop. 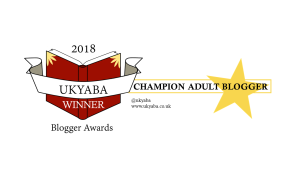 This entry was posted in Uncategorized on September 18, 2018 by bookloverjo. The problem with being a book blogger is that it’s quite possible that you’re not a favourite with your postman. As the doorbell rings, you open the door reluctantly and you’re greeted by the postman grimacing as he hands over a great big stack of parcels, all you can do is smile nicely and hope he’s not to worn out. So the day ‘I Am the Seed That Grew the Tree,’ arrived I could tell that he was not best pleased with this exceedingly heavy parcel. I felt that something truly exciting must be contained within this precious parcel and I was completely right. 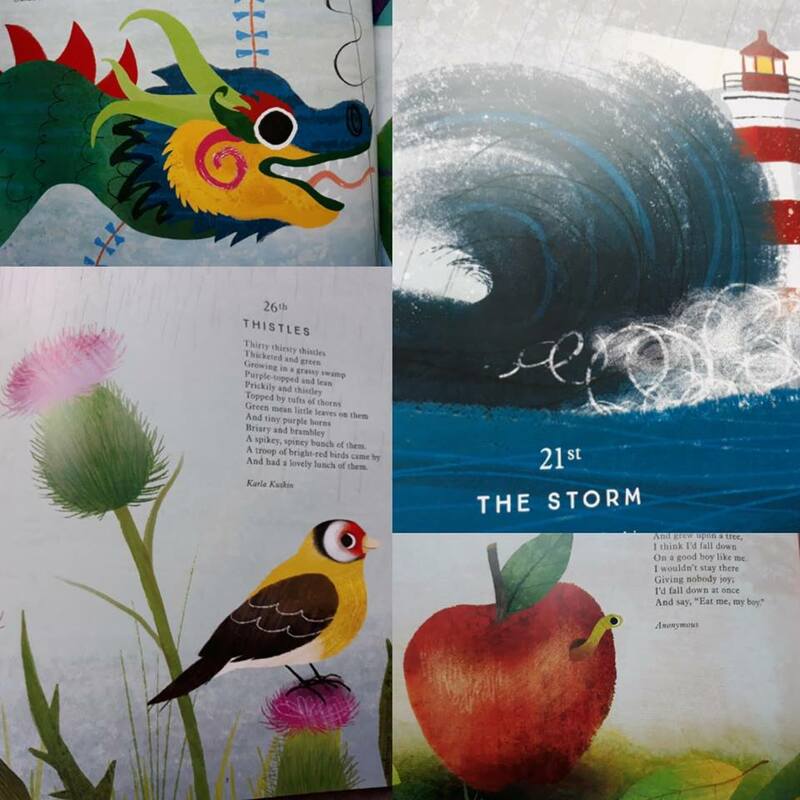 Nosy Crow Books have put their heart and soul into creating an extraordinary collection of nature poems for every day of the year, carefully selected by Fiona Waters and stunningly illustrated by Frann Preston-Gannon. The lavish production of this collection makes this book totally irresistible and extremely covetable. Each of the spreads are sumptuously illustrated with the most lavish, rich images from nature reflecting perfectly the changes of the seasons and the beauty and majesty of nature. Whilst all of the poems that have been chosen seamlessly fit into the days, capturing all the different elements and aspects that we see evolving. There is a really interesting eclectic mix of poems from traditional favourites like Walter De La Mare, Emily Bronte and Christina Rossetti to newer discoveries Carol Ann Duffy and Benjamin Zephaniah. 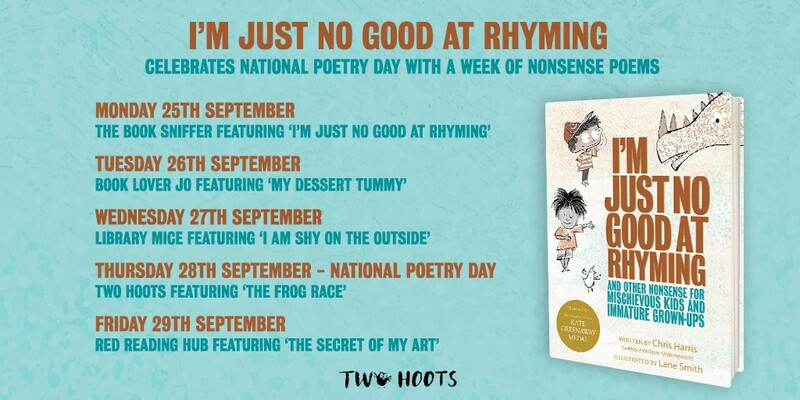 It’s a perfect book for dipping in and out of to just savour the joy of the poems, or if you’re looking for inspiration to spark creativity for art or writing. I can’t think of anything more delightful than to share this book with children at home or school and appreciate the glory of the animals, plants, trees, weather and seasons that are such an intrinsic part of our lives. 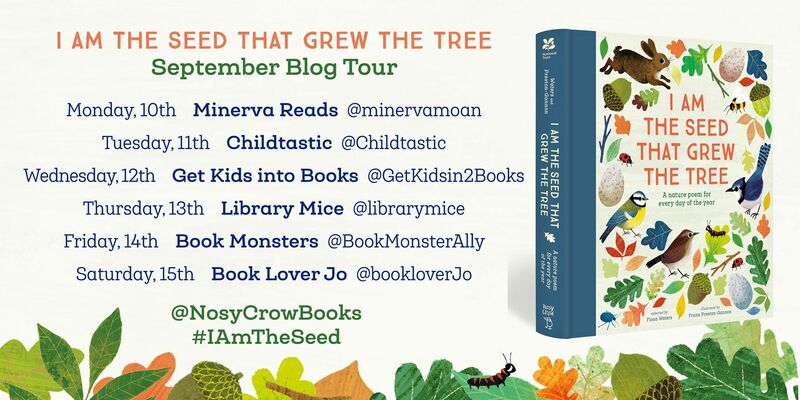 Why not join in with the rest of the blog tour for reviews and guest posts on this glorious books, I particularly enjoyed the guest post from Kate Wilson on the Minerva Reads blog. Thank you to Antonia and Nosy Crow for sending me a copy of this beautiful anthology and for inviting me to take part in the blog tour. 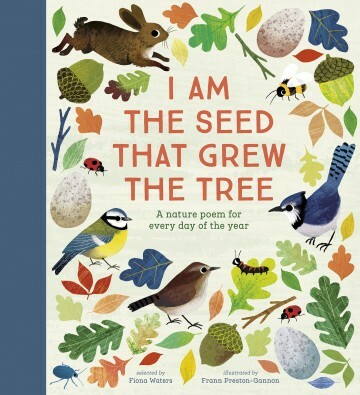 ‘I Am the Seed That Grew the Tree,’ is available to buy now online or from any good bookshop. 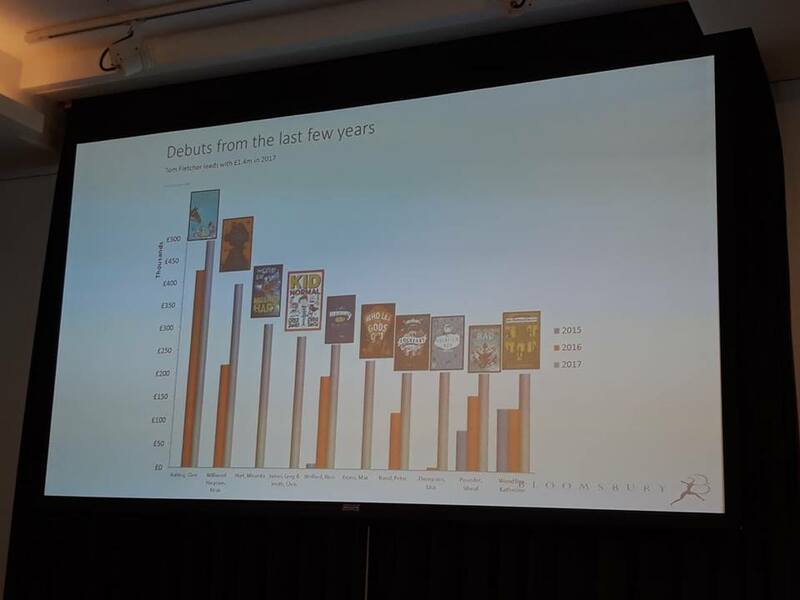 This entry was posted in Uncategorized on September 15, 2018 by bookloverjo.